Preventive protection against the latest active threats, targeted attacks, and infiltration attempts that take advantage of vulnerabilities (including zero-day ones) your anti-virus can’t detect. Dr.Web Katana does not conflict with third-party anti-viruses. For PCs, laptops, netbooks and tablets running Windows 10/8/8.1/7/Vista SP2/XP SP2+ (32/64-bit). Looking for an all-round anti-virus for Windows? 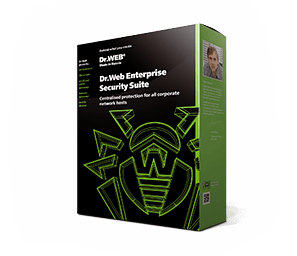 Dr.Web Security Space — comprehensive protection from Internet threats.